Socklips are made to solve everyones laundry’s nightmare. 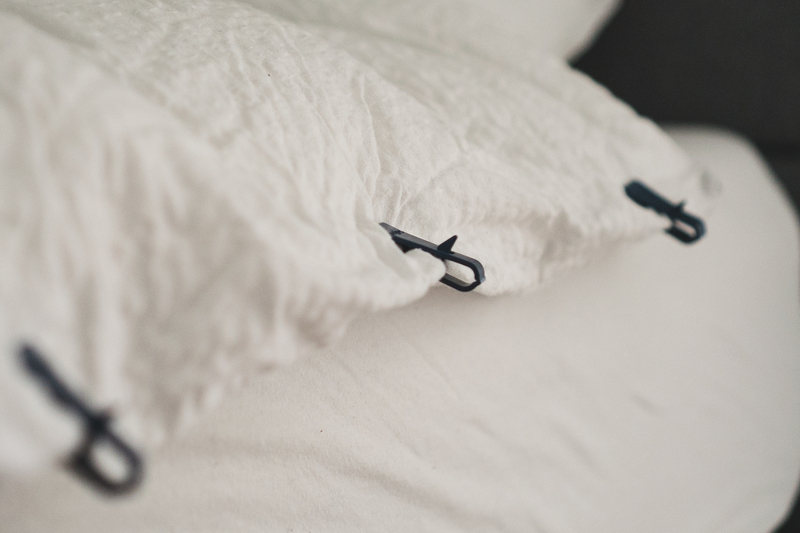 All you have to do is click a couple of clips at the edge of the open duvet cover, wash, dry and done! When the wash/dry is done, you are also done! No more wasting time removing clothes from the inside of the duvet cover and having to wash them again ( because if they were inside the duvet cover they were not washed properly). It saves TIME & MONEY! 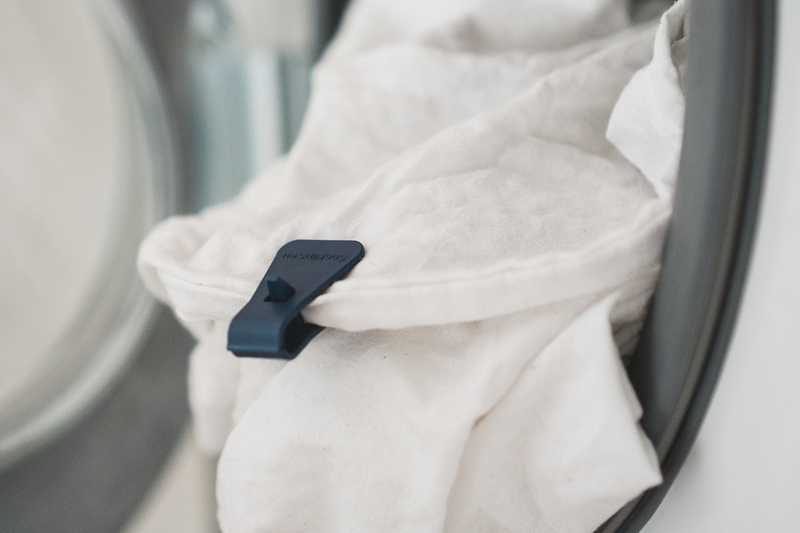 Socklips keeps your duvet cover closed while washing and drying, avoiding clothes to get in during washing and drying process. 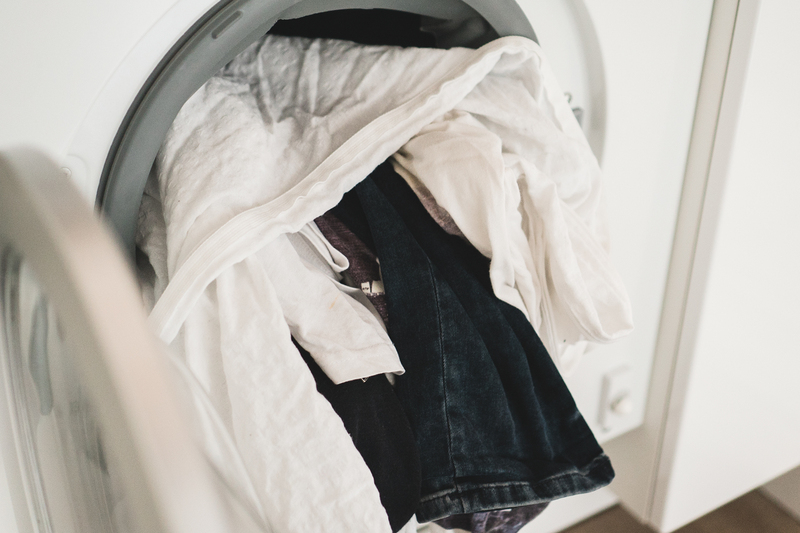 This way, your wash is properly done (because they don’t get stuck inside the cover) and protecting your machine (because when the cover is full of clothes it is heavy and therefore without balance inside the machine and it could damage your machine). The clips will not cause damage to your duvet covers. 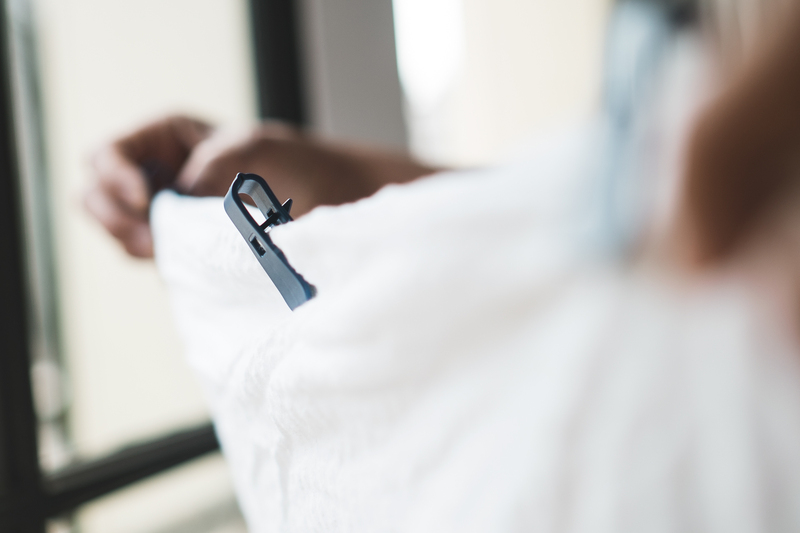 The clips are small, easy to use and the most important, they work with all kinds of duvet covers. Each pack comes with 7 clips in the colour chosen on our shop page.